2 How rich is Michael Santana? 7 Why is he called ‘Pizza Guy’? Michael Santana is better known as Imaqtpie, and has been a professional gamer for the video game “League of Legends”. He played for various teams such as Oh God Bears, Dignitas, and Delta Fox. He also maintains a huge following on the streaming platform Twitch, amassing over 1.5 million fans and over 100 million views. How rich is Michael Santana? As of early-2018, sources estimate a net worth that is at $1 million, mostly earned through a successful career in streaming, but he also earned a good amount of money playing “League of Legends” professionally. He is considered one of the highest ranking players in the game and as he continues his career, it is expected that his wealth will also continue to increase. At a young age, Michael often involved himself in gaming – when he was not watching television, he wanted to play games on the Sony Playstation. He was not a serious gamer to begin with, nor did he have any aspirations to become a professional gamer, however, he noticed that he quickly became one of the stronger players in “League of Legends”, especially with his early involvement with the game. He then decided to practice and improve his skills, leading him to make professional gaming a prospect. With the encouragement of friends, Michael established the gaming group “Oh God Bears” and moved to California to be closer to the developer of “League of Legends”, Riot Games. Eventually, he was invited by professional player Scarra to join the team Rock Solid as the team’s AD Carry, one of the positions in a “League of Legends” five-man team. The team would win the National ESL Premier League and his net worth started to increase significantly. After the team’s success, Santana was recruited to become a part of Team Dignitas who would then sponsor their initial team who won the National ESL Premier League. He would play with the team for the next few years until deciding to leave professional gaming in 2014, but having made a mark with fans especially with his casual dress code which consisted of a white t-shirt and gym shorts; his long hair has also been the topic of many of his followers and fans. He then focused more on streaming on Twitch, which became a great avenue for him to increase his net worth. He gained followers quickly, and he started playing other games aside from “League of Legends”. He was recently hired to become a part-time crew member for the Riot League Championship Series, for which he does professional casting work, but also continues to be highly involved in Twitch – there are reports that he earns even more money now than he did when he was playing for a professional team. During the peak of his success, Santana won the IGN Proleague Season 3- Atlantic City, and the LoLPro.com Curse Prize Final, and was a runner-up at iEM Season VI-World Championship alongside Team Dignitas. He also won two IPL elite NA and made it to third place in the MLG Winter Championship International Exhibition. He also won a Streamer of the Year Award during the 2016 eSports Industry Awards and is the reigning champion of the flippers360 LAN tournament. Michael was born on 21 February 1992, in Margate, Florida USA – he stands at a height of 6 feet or 1.82 meters. He continues to stay active on various social media platforms, being highly active on Twitch having over 346,000 followers on the website. He also has over 268,000 followers on Instagram and over 150,000 likes on Facebook. He mainly promotes his Twitch stream, and also posts some of his daily endeavors. He also loves to post food pictures on his Instagram account s well as on his Facebook page. Why is he called ‘Pizza Guy’? Santana also became popular due to owning a cat he called “Pizza Guy”, which had no hair and one he often referred to as a rat. The cat was frequently the topic of his social media posts and he often made associations of the cat to “League of Legends” players. However, the cat passed away in 2017, announced through his Twitter page. Other pets he’s had include Mellowcat, Slammcat, and the dog Dapperdog. 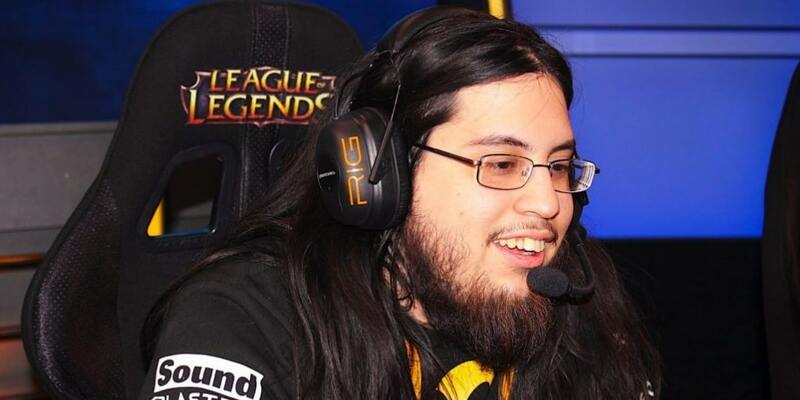 He’s also often featured his older brother on his social media sites, when his brother visits him – fans have often referred to his brother as Imaqtpie without hair. He also has a fiancé named Lisha Wei and they live together. His parents are Jose and Maria Santana who gave him the inspiration for the name Imaqtpie as she often called him cute when he was young. Michael is half Colombian and half Cuban, but spent most of his early life in Florida.